We've hit--and here in Colorado, passed--back-to-school time already, and I've been backlogged with recipes I wanted to finally formally save and share. Where does the time go? 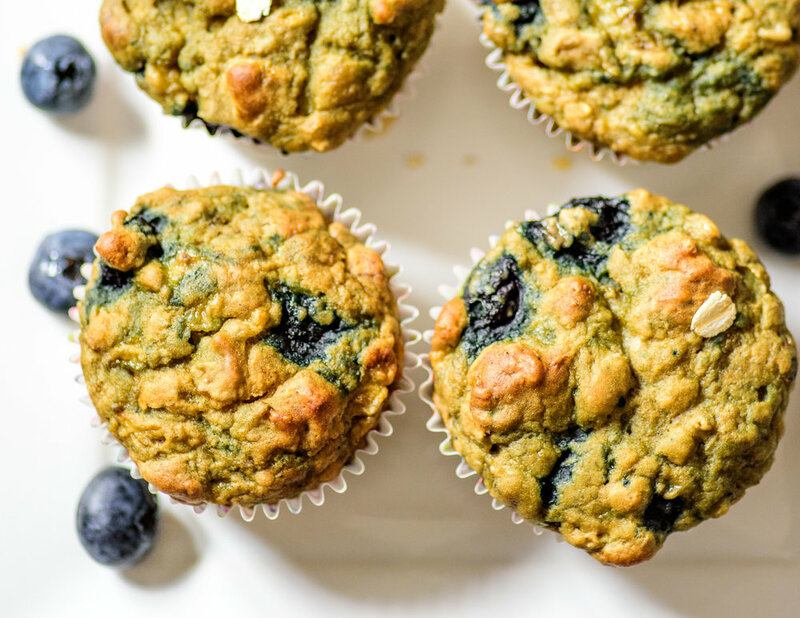 These no sugar added, oil-free, dairy-free, surprisingly fluffy (yet with a pleasant density) banana blueberry bites are perfect for grab-and-go snacks and breakfasts. They can easily become vegan by eliminating the egg, though most seem to prefer the version inclusive of one egg, and the slight but significant difference in taste and texture. So far standard gluten-free flour blends work great, too. Bonus, you truly can pull off adding a smear of frosting on top and calling them cupcakes (just come clean with the fact that they are 'healthy, no sugar, oil-free cupcakes' and you're good-to-go; neglect this step and there may be a bit of disappointment). I wasn't going to post these for a couple of reasons. One, they're pretty much just another variation of a standard muffin I make all the time--thus, there's never been a need to write down a recipe. Another, we kept eating them without taking any pictures. Photos! Always held up by photos! If I spent the time wasted deploring poor phone photos simply taking a decent one with the reliable old Nikon, I would be much more consistent on this blog, and I wouldn't find myself searching my own archives in vain nearly so often for recipes I thought I had stored. In a mixing bowl, whisk together the flour, oats, baking powder, baking soda, and spices. Stir in blueberries (particularly if using frozen) to coat. In a smaller bowl, mix mashed bananas, aquafaba, egg, applesauce and orange juice. Add to dry mixture and stir to combine. Spoon batter into prepared muffin tin lined with muffin cups, about 2/3 full. Bake approximately 25 minutes or until a toothpick inserted in center comes out clean.